With the Superbowl just around the corner, we thought it was a great time to start talking about the role TV advertising plays in our vision of the future of marketing. Over the next month, Distilled is publishing a series of articles on this topic along with a detailed report on the impact we believe it will have on digital. You can tune into the full report over here. 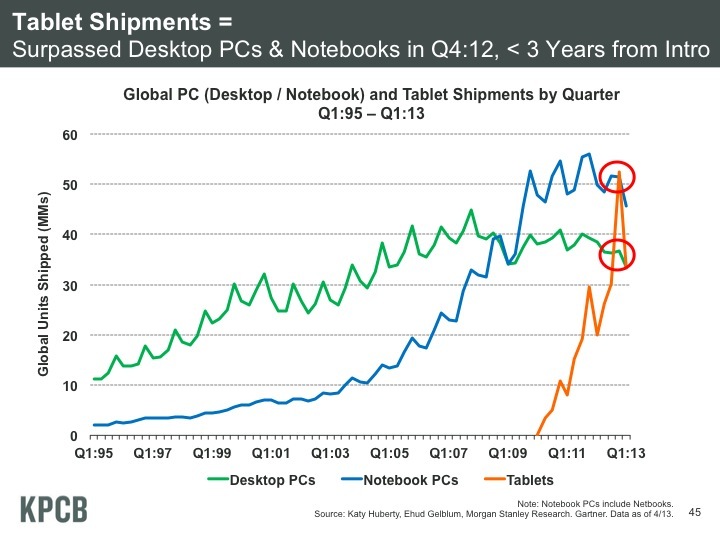 I’d be shocked if there is a marketer on the planet who hasn’t been following the growth in mobile but over the last 6 months I’ve been starting to think that the battle for the biggest screens in our homes may be more disruptive to marketing than the battle for the smallest screens. Powerful mobile devices with great screens and fast connections are leading us to use our phones and tablets more and more like our computers. Of course there will be disruptions to technology markets but for marketers, the changes are currently looking relatively tactical. Meanwhile, the battle for control of our TVs and to deliver our video content has the potential to uproot established players. Although I believe that digital marketers (myself included) have missed a trick by focussing so much on the measurability of digital direct response to the exclusion of brand building, I think we may be about to get another shot at those brand budgets. The disruption that’s coming to TV is largely driven by the rapid growth of so-called Over The Top (OTT) content. This content, which includes Netflix, YouTube, many on-demand services and certain forms of timeshifting, is delivered via “dumb pipes” over IP networks (in other words via your broadband connection) rather than through your proprietary broadcast, cable or satellite TV connections. The decoupling of delivery mechanism and content provider is great for consumers who get a wealth of choice and new services but it is highly disruptive for the broadcasting industry. Anyone who has a Smart TV will understand how this has happened. I can personally get OTT content in at least five ways (Smart TV, set top box, Google Chromecast, Apple TV and regular laptop via HDMI) and the user experience of the Smart TV is so bad that I’d choose setting up any of the others from scratch over using the built-in TV interface. Much like how the first iPhone finally broke the “good enough” barrier that unleashed mobile data usage, I believe the hardware, software and connection speeds are finally there to do the same for OTT. I don’t know how many of you have used a Chromecast, but at $35 (or free to lucky email list subscribers), it’s the device that convinces me about something I’ve believed for a while now - that this revolution is coming to the masses. (It’s been one of Amazon’s bestsellers in Electronics for 16 consecutive weeks as at Jan 2014). Could YouTube be a significant "broadcast" player? YouTube is in some senses the “native” Chromecast app and the experience of streaming YouTube to your TV in this way is exceptional. Right now, it’s a slightly weird experience because there is relatively little high-quality full-length content on YouTube, but I expect that to change. There were rumours late last year that Google was in negotiations over the streaming rights to NFL content. Although that deal has reportedly fallen through and the other major US sports deals aren’t up for renegotiation any time soon, I fully expect to see deals like this one become a reality sooner rather than later. The Chromecast + YouTube experience is so good for the consumer (and the Chromecast so cheap) that content producers should be all over it - assuming Google can put together a decent commercial package around the advertising. Much like the way AdWords evolved from individually negotiated deals with major advertisers to self-service market-priced auctions, I think the next logical step from here is the release of a platform that makes TV-like brand advertising available to the next tier of challenger brands. Yes, Google has tried this before with the failed venture into TV advertising. But just like I believe the Chromecast will succeed where the Google TV failed, I think YouTube has a real shot at being a huge part of the future of TV. If you're interested in the future of marketing, you can head over here to read the visual report in its entirety.